A giant nut, with a twist. 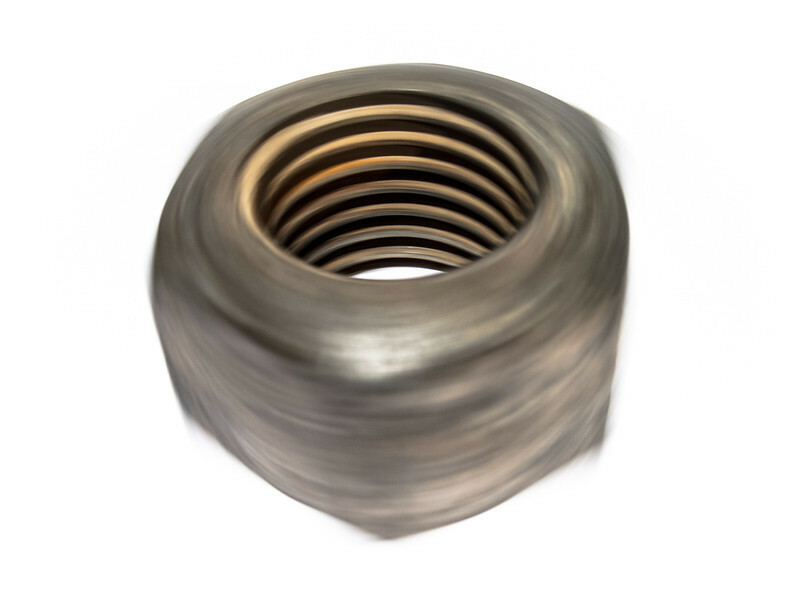 I have two of these giant nuts, and I can't remember where I acquired them. I often use the giant nuts to hold things in place, as they each weigh several pounds.